Welcome to Australian students Gillian Angliss, Tierney George, Pranav Rawal, Michelle Robertson, Imad Shraim and Jonathan Tan, and lecturer Dr Joe Gattas from the University of Queensland. 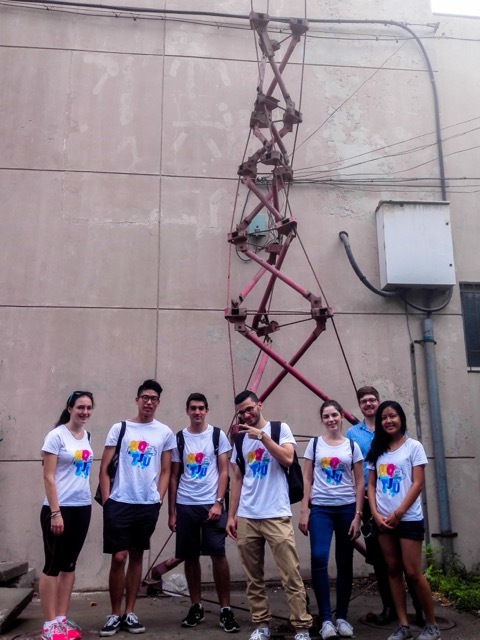 The students have worked on morphing and rigid origami structures over this month in conjunction with TJU graduate students, from June 28 to July 24, 2015. Gillian Angliss, Tierney George, Pranav Rawal and Michelle Robertson work on the morphing origami and make the physical model using cardboard. Imad Shraim and Jonathan Tan work on the origami tube structure, make the physical model and do finite element analysis. Thank the UQ Confucius Institute and the UQ School of Civil Engineering Icarus Program for facilitating this unique learning experience. Contact | Copyright © 2013-2019, All rights reserved.